Surprise the glowing yummy-mummy-to-be with this unique Mother To Be Sash. The perfect sash to wear at the Baby Shower and a lovely keep safe for the Mother-To-Be to cherish forever. 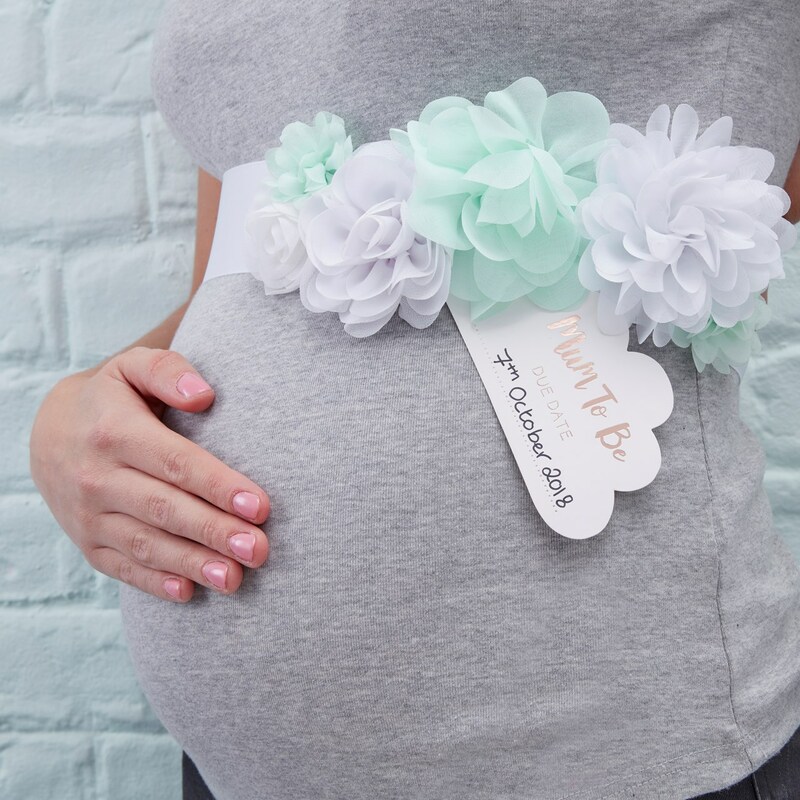 Use the cloud shaped tag to personalise the sash with the Baby due date. The stunning mint green and white flowers surround the foiled tag and is sure to be loved by all trendy mums! Each sash comes complete with 6x flowers and 1 tag. Sash measures: 2mtr. Length.